Enjoy some more of Cicero's ageless wisdom on aging. Click on the image to read the passage. 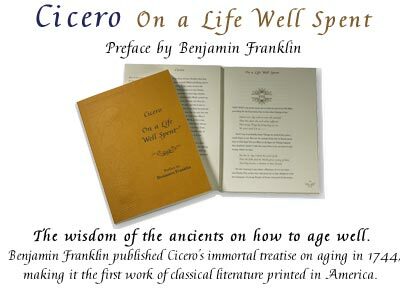 Excerpted from Cicero's On a Life Well Spent. © 2005 Levenger Press.